Taxi Services in London for your comfort. Nobody prefers to say ‘bye’ at 11:00 PM when it’s an event. For all the practical reasons, one happens to require late night conveyance after the event. Website: http://www.heathrowtransfersltd.com Phone: 020 8897 6666 / 020 8897 0800 Zip Code: Ub7 0jd City: Sipson road. If you have an event to visit alone or along with family and friends, Euro Cars is 24/7 available to serve you with the most comfortable and luxurious cars and experienced drivers who will take you to the place even before time. 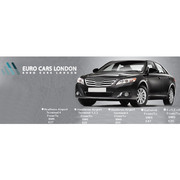 Website: http://eurocarsfulham.co.uk/ Adders: 10 Dawes Road, Fulham. For those who want to acquire the benefits of affordable cargo services, Pak direct cargo is conveying best moving services through air, sea and truck so that one can easily transfer parcels and shipments in a well-protected manner. For more details: Website:	http://www.pakdirectcargo.com/ Mob: 0774 132 0012 London: 0207 11 28 444 Address: PAK DIRECT CARGO LTD. Going out with your love one is always a fun and a memorable trip, if you have plans to go for a journey or sight-seeing tour in London with your colleagues, family or friends? Contact us right now. Website: www.asapcars247.co.uk Contact no: 01322252525 Address: 12a Station Road, Dartford, DA1 3QA. Handles and Things is offering an exclusive collection of electrical switches and sockets that are best compatible to your requirements. Our eye-catching models will certainly induce your attention. For more details: Website: http://handlesandthings.com/ Contact no: 44 (0)208 7497234 Address : Road e12 5aj London. Have a relaxing journey with Cheap Taxi Services in London. Do you want to have a less messy and hassle free way to your home from seaport? You must rely upon the best and the valuable Heathrow Transfers Ltd. make a reasonable move in order to get the reliable services. Website: http://www.heathrowtransfersltd.com Phone: 020 8897 6666 020 8897 0800 Zip. Avail the cheapest driving service with Euro cars for moving from Heathrow Airport to Terminal 5 along with your Luggage and No hidden charges. Just visit our website or call us to book a cab and driver will take you to your residence where ever in Terminal 5. 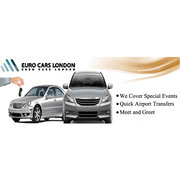 Website: http://eurocarsfulham.co.uk/ Address:. Pak direct cargo is also satisfying clients with door to door service which means now you don’t have to pack and deliver things to our office as our professional team will come at your place and will do as directed. For more details: Website:	http://www.pakdirectcargo.com/ Mob: 0774 132 0012 London: 0207 11 28 444 Address: PAK DIRECT CARGO LTD.
Reach on time is very important for any occasional events. So make a wise move and contact ASAP cars for a fast mini cab service. Feel free to contact us now. Website: www.asapcars247.co.uk Contact no: 01322252525 Address: 12a Station Road, Dartford, DA1 3QA. Door handles and accessories on discount now! Handles and Things is providing a variety of classic door handles, security locks and electrical switches at the best-selling rates. Anyone who is interested to avail discounted rates for our products can contact us right now. For more info: Website: http://handlesandthings.com/ Contact no: 44 (0)208 7497234 Address : Road e12 5aj London. For all the obvious reasons, one happens to thump his head if he doesn’t get a quick taxi after such an excessively prolonged train journey. Therefore, just get in touch with the Heathrow Transfer Ltd. and travel with comfort. Website: http://www.heathrowtransfersltd.com Phone: 020 8897 6666. Have plans to send parcels through sea cargo services? London car boot sale. Other goods for free for sale ads on online car boot sale in London, second hand Other goods for free for sale in London, Other goods for free ads for free in London, 2lazy2boot - London car boot fairs Page number 3-1.